The product of 14-member boyband Brockhampton, who turned the music scene upside down last year, “Iridescence” proves to be their best album yet and one of the best of the year, following the ousting of the face of the group due to an abuse scandal. The 15-track studio album released on Sept. 21 features a different taste to the group’s original style. The project is full of experimental songs, voice changes, beat switches, tear-worthy ballads and more. “Iridescence,” in short, is about adjustment, the first installment in another musical trilogy of albums. The album kicks off with the banger “New Orleans,” which pieces together experimental gangster rap, meaningful lines and intense vocals into a five-minute smash, featuring every rapping member of the group. The most sporadically featured and mysterious members of the group, Joba and Merlyn, shine on this track, which becomes a recurring theme throughout the album. The best thing about this album is the peculiar, loud and emotional bars from the weirdest members of the group. Particular verses like Merlyn’s wild lines on the grime influenced “Where the Cash At” and Joba’s intense bars on “J’ouvert” show the true potential of the group. Recorded in London at Abbey Road Studios, the influence of British slang, trip-hop and loud synths are all over the album. The outlandish drums on “Fabric” and bass featured on “Tape” lift these tracks into the clouds. At the turning point of the album, “Weight,” a track emphasizing the pressure each member of the group faces, provides a perfectly fitting piece into an album like this one. Kevin Abstract, the leader of the group, brings one of the best verses of the album on this piece. The interesting thing about “Iridescence” is that it never drops off. The project is jam-packed with meaningful songs that can be listened to in almost any scenario. The versatility of the LP is strong, with songs that you can go wild to and songs that can make you cry. It’s not often that anyone comes across an album like that. 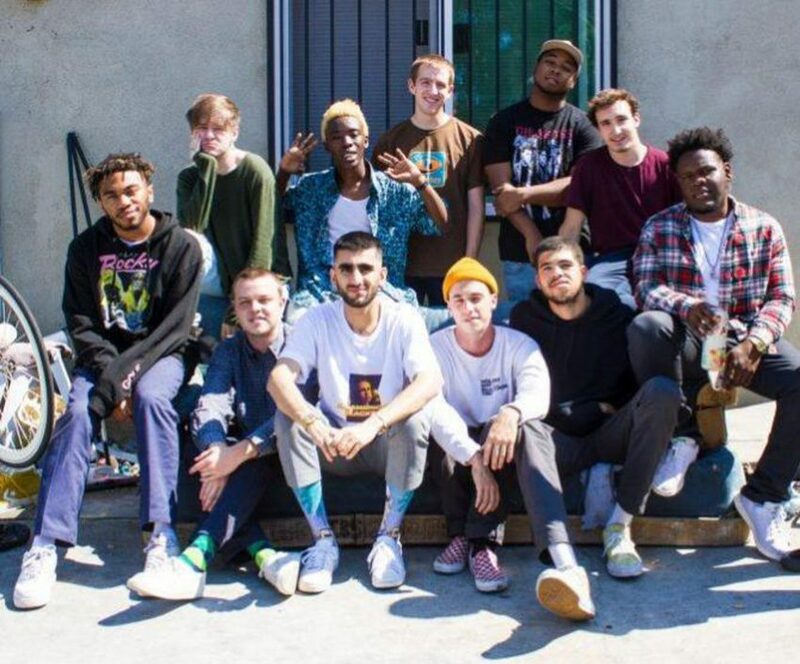 This is only the beginning for Brockhampton. The wild instrumentals and blazing hot lyrics will continue to impress fans for the rest of the trilogy, and hopefully for many more.